I’ve used the same mouthpiece for 15 years, and I didn’t think that I could get any better mouthpiece than what I had. Then Syos came along and beat it by a long shot! Jørgen Munkeby started playing the sax in 1989, when he was only nine years old. "At that point I had only listened to rock and metal music, so looking back I really have no idea why I chose to pick up the sax. But I’m glad I did! ", says Munkeby. After a few years sitting in his bedroom after school jamming on the alto to Sepultura’s "Beneath the Remains" and Pantera's "Vulgar Display Of Power", Jørgen joined the groundbreaking Norwegian electro jazz ensemble Jaga Jazzist, where he switched to tenor sax, flute and bass clarinet in addition to sharing composition duties. The same year as Munkeby started attending the Norwegian State Academy Of Music to study jazz saxophone, in 1999, his own band Shining was formed. Munkeby kept busy with international touring with these two bands, along with several other gigs as a freelance musician in all genres. In 2003, right after Jaga released their last album with Munkeby, he quit Jaga Jazzist to devote himself fully to Shining and to his own saxophone playing. The year 2010 marks a landmark in Munkeby’s saxophone career, when he singlehandedly coined the term Blackjazz– a heavy-hitting amalgam of free jazz and industrial metal. The Shining album of the same name, garnered raving reviews all over the globe, and turned the world of metal on its head in shock and awe. To solidify the Blackjazz phenomenon even more, Munkeby had teamed up with the Norwegian black metal legend Ihsahn (Emperorfrontman) to record his album "After". This album was released the very same day as Blackjazz, to really drive home the point that metal would never be the same again, and that sax in metal was here to stay! 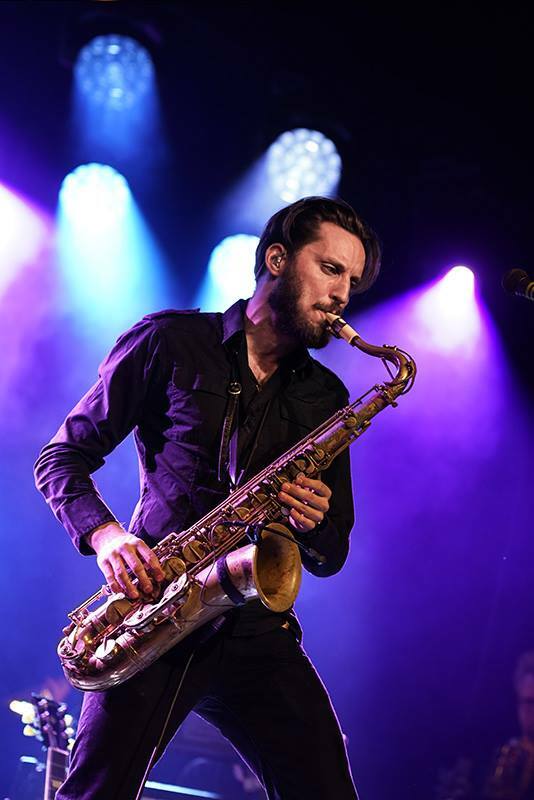 Jørgen has lent his groundbreaking and abrasive sax work to such notable artists as Marty Friedman, Devin Townsend, Ihsahn, Haunted Shores (Misha Mansoor/Periphery side project), and most recently to the YouTube music mastermind Leo, doing a metal cover of "Careless Whisper". Munkeby is running a veritable Blackjazz sax factory from his studio in Oslo, where he records sax on other artists songs via the internet.